When considering the benefits of search advertising, most business owners and marketers immediately start counting clicks, measuring conversion rates, and tallying the total revenue generated by search ads. While these are certainly important factors to consider, a new study from Google and Ipsos research suggests that business owners benefit greatly from search ads before the consumer even clicks. 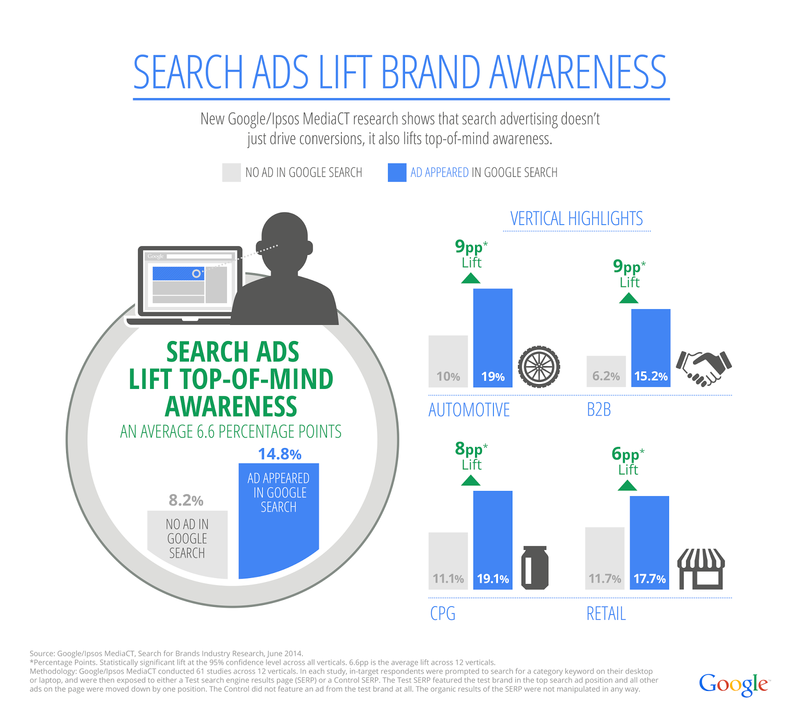 According to their joint study, search ads have a significant effect on brand awareness. In 2013, Google and Ipsos MediaCT partnered with one another to conduct 61 studies that analyzed the effect of search ads on 12 categories, from auto to retail. A total of 800 US consumers were asked to search for a category specific keyword. The results showed that the test brands in all categories saw an increase in brand awareness. The nature of search ads plays a part in the increase in brand awareness. 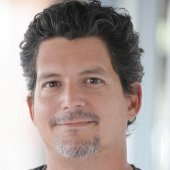 Google suggests that search ads are often targeted (indirectly) to people who are in a highly-receptive state for information on a particular subject. If someone is searching for plumbers, they are likely to remember the names of plumbers they saw in ads while searching. As promising as the study may seem, there is reason for caution. The study only measured the metrics for the ad in the top position. So while it’s true that brand awareness for the ad in the top spot increased by on average by 6.6 percent, it’s unclear from this study how much the effect would be for ads in other positions. These limitations aside, it’s likely the effect would be the same for other ad positions. If people subconsciously notice and remember the names from top ads, there’s no reason they wouldn’t subconsciously remember the ads in other locations. So long as the ads are seen, there should be an increase in brand awareness, though the percentage of the increase would be less. Though the study may not be as complete as one would hope, the implications are clear. Even if people don’t click or buy from a search ad, the ad itself serves as a tiny billboard that promotes brand awareness. Business owners and marketers need to consider the value to brand awareness when deciding on the effectiveness of their search ads campaigns. It’s important that an ad be effective in bringing in consumers, but it’s also important that people who only see the ad get a favorable impression of the business placing the ad. For advice on creating better internet ads, read this article with tips on writing better ad copy.